After decades of pumping antibiotics into livestock to compensate for inhumane and disease-inducing conditions, bacteria are now fighting back. A new survey of factory farmed UK pork from supermarkets found that 63% of pork samples were contaminated with antibiotic-resistant E.coli, bacteria that cause life-threatening kidney infections and blood poisoning. Pigs in factory farms are so overcrowded, stressed and unhealthy they have to be routinely given antibiotics just to keep them alive. Just as doctors strive to reduce antibiotic use in the surgery, so farm use is increasing. 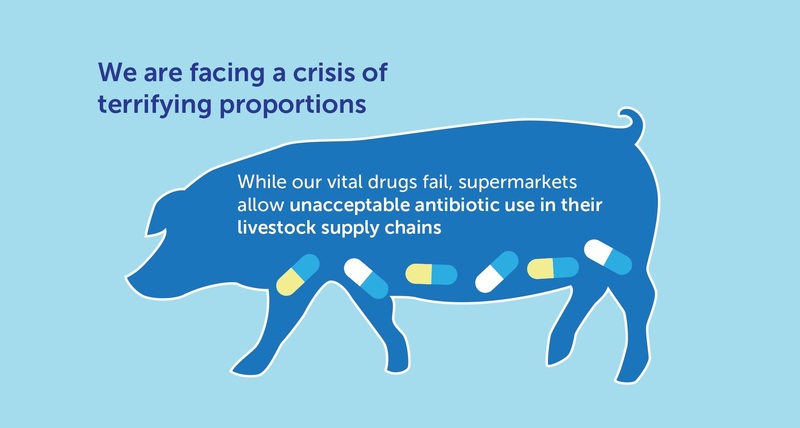 Around a quarter of all antibiotics prescribed in the UK are given to pigs in factory farms. This routine misuse of antibiotics means that bacteria become resistant, bringing us closer to the end of antibiotics as a cure for an increasing number of human diseases. To achieve maximum weight gain piglets in factory farms can be taken away from their mothers when they are only 21 days old, too early for their immune systems to develop properly. This means they have to be routinely given antibiotics as an integral part of the production cycle. In the EU, from where 54% of the pork consumed in the UK is imported, factory pig farms can keep pregnant mother pigs confined in steel cages too narrow for them to even turn around for 20 weeks a year. In low welfare farms in the UK like Red Tractor, this is allowed for 11 weeks a year when she is feeding her piglets. The high levels of stress after enduring weeks of this torture makes her vulnerable to disease. As farmers strive to compete with cheap imported pork, many farmers break EU and the UK regulations by depriving the growing pigs of straw (or other bedding material) to reduce labour costs. Crammed into small pens without the ability to express their natural instincts to root in straw for food and play with, pigs are stressed and fight thus increasing their vulnerability to disease. Without straw the pig waste can more easily drop through the concrete floor slats into tanks underneath. The effluent is spread onto fields, sickening local residents with a toxic stench of ammonia and a cocktail of other gases and disease-causing bio aerosols. This effluent inevitably leaks into watercourses, killing fish and other wildlife in rivers and the sea. In contrast, pig waste on outdoor farms, whose certification system demands limited pig numbers, nourishes the soil and forms part of the crop cycle that grows the pig feed. Competing with imports is driving UK farmers in to a downward spiral where farms have to consolidate and reduce labour or go bankrupt. In the past 15 years the UK pig herd has dropped by half, while 70% of the imports have been raised in conditions that are illegal in the UK. The good news is that conscientious consumers are buying pork from high welfare farms. Today 25% of UK pork has been raised either outdoors, or indoors with plenty of straw and space to move around, where the pigs are happy and healthy and rarely, if ever, need antibiotics. #TurnYourNoseUp at animal factories and join the revolution by only buying meat from high welfare farms. How? 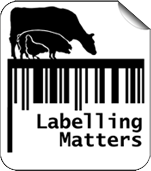 In supermarkets, only buy pork with the labels RSPCA Assured, Outdoor Bred, Free Range or best of all, Organic. Ask for high welfare pork in butchers, farmers’ markets or online. 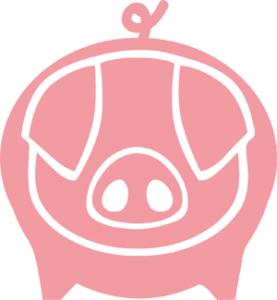 It doesn’t cost much more – two sausages from a factory pig farm cost the same as one and a half sausages from a real farm where pigs are healthy and free to move around. Reducing our meat intake also helps avoid obesity, diabetes, heart disease and certain types of cancer. We can all give up half a sausage and help bring an end to pig factories, for our health and for humanity’s sake. Tracy Worcester started the campaign Farms Not Factories after Channel 4 broadcast her film Pig Business that investigates the giant US pork corporation Smithfield Food’s gruesome factory pig farms in Poland. Taking advantage of low labour costs and poor enforcement of environmental and labour laws, Smithfield produces ‘cheap’ pork destined for UK supermarket shelves. The #TurnYourNoseUp campaign is supported by a huge cast of celebrities who posted selfies and starred in a series of short films including Jeremy Irons, Vivienne Westwood, Dominic West and Jon Snow. . Their message is to close factory farms by consumers only buying buy pork from high welfare farms with labels, RSPCA, Outdoor, Free Range or Organic. All images are credited to The Alliance to Save Our Antibiotics.